This resource was developed in collaboration with the Aboriginal Learning Services department of Edmonton Catholic Schools. The resource provides information about First Nations, Métis and Inuit (FNMI) cultures and perspectives, and sample strategies for meeting the needs and recognizing the gifts of FNMI students. The Aboriginal Collection at EPL focuses on materials written, performed and/or produced by Aboriginal Peoples. First Nations, Metis and Inuit perspectives in Curriculum. Four Directions Teachings is a visually stunning audio narrated resource for learning about indigenous knowledge and philosophy from five diverse First Nations in Canada. Teaching Resources and Strategies for Elementary and Secondary Classrooms. Ontario Ministry of Education. 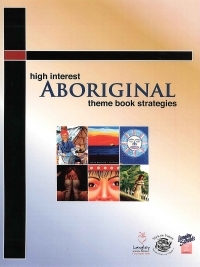 Infusing Aboriginal Perspectives into Your Teaching Practice. University of Toronto. Educational & Curriculum Video. 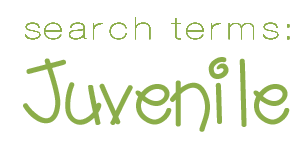 McIntyre Media Inc.
Indigenous peoples are diverse, within and across nations. However, the Indigenous peoples have experienced colonisation processes that have undermined Indigenous young people’s access to their identity, language and culture. Published by OECD. interactive map allows you to see what the languages, traditional territories, and treaties in an area. This foundational knowledge about First Nations, Métis and Inuit is critical for teachers, school leaders and education stakeholders to understand and apply new ways of knowing necessary to advance reconciliation and shift thinking and attitudes. It will also help to ensure the education system continues to build capacity to include First Nations, Métis and Inuit perspectives in the classroom and curriculum. FNMI artifacts, clothing, traditional foods, examples of modes of transportation, & games - all mini sized. Includes recorded music, too. This list is a starting point to discovering resources on the topic of residential schools for children and young adults. Canadian Children's Book Centre themed list. A digital catalogue of 100 picture books by First Nations, Métis and Inuit authors and illustrators. grade levels recommending the suggested audience for each book. Annotated book lists from the Alberta Regional Professional Development Consortia (ARPDC) featuring recommended titles for students in our local context. Leveled reading series featuring the Michif language and culture for elementary readers. texts, and bring in their own background. Alberta Education and others are providing teachers with lesson plans to help bring First Nations, Métis and Inuit history and contributions to life in classrooms across the province.